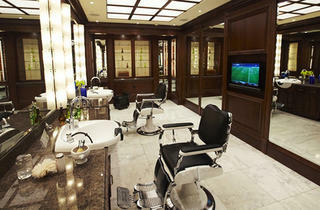 The oldest barbershop in Beverly Hills, Gornik and Drucker draws a serious fan base across generations. Harry Drucker established the original outpost in 1936, amassing a client base ranging from Ronald Regan to Frank Sinatra and Clark Gable. 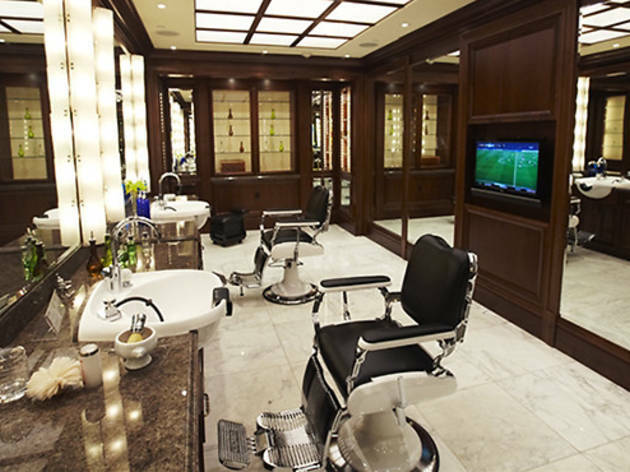 In 1989, the barbershop joined forces with rival master clipper William Gornik of Rothschild’s fame, who boasted an equally impressive roster with the likes of Tony Curtis and Peter Lawford, unifying under one name and roof. Past now meets present at this classic space, which commands a presence at its new location in the lower level of the Montage Hotel. Gornik continues to tame the follicles of his loyal clientele daily from the comforts of the shop’s elegant modern-day surroundings.